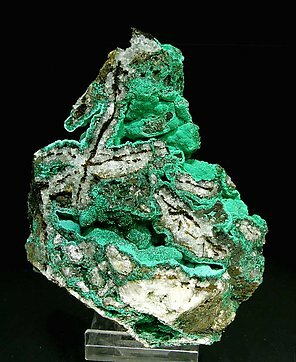 Botryoidal and microcrystalline growths on matrix of this relatively rare phosphate. 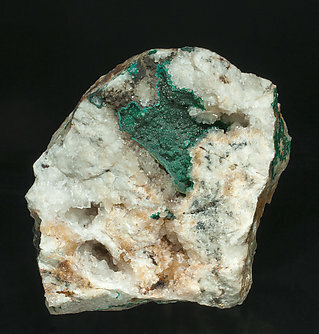 Its green color is quite variable, darker when more crystalline. The specimen is very rich in Pseudomalachite. 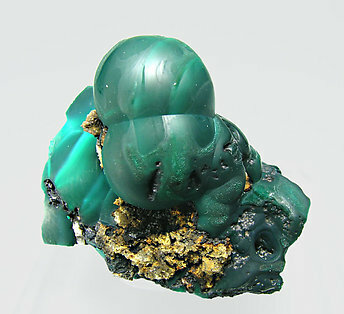 Botryoidal Pseudomalachite specimen with a deep green color, with a delicate banded brighter green color. On a Quartz matrix. Very esthetic specimen. Botryoidal and microcrystalline growths of this relatively rare phosphate. They have a very deep and uniform color, are brighter than usual and they are on a Quartz matrix.